Established in 1983, family run business. We are an independently run Proton Main dealer for the Barnsley and surrounding area. We have been trading over 30 years and the garage is family run by husband and wife, and 2 sons. We offer a friendly service, whilst being professional. Our clients trust us to give them a pleasant experience. 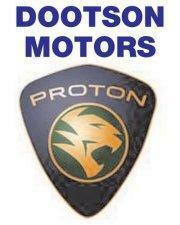 We offer new and used Protons as well as all other makes. We welcome part exchange and also offer finance packages. We carry out MOT testing, service, repairs, engine/electronic diagnostic work, tyres, clutches, timing belts, exhausts, suspension, welding, batteries and brakes. We have a very experienced team of technicians who are highly trained. Give us a call and we will be happy to help with any enquiries you have. Open Monday-Saturday (Car Sales on weekends and evenings available by appointment).